Epiphone builds outstanding guitars for intermediate players and beginning guitarists. As they are owned by Gibson, they are able to produce near-exact copies of famous Gibson guitars such as the Les Paul, SG and ES-335. And, because they keep costs down, Epiphone guitars are typically much more affordable than their Gibson counterparts. That means, for guitarists who are counting their pennies but always wanted a gorgeous Les Paul, Epiphone is a great choice. In my opinion their mid-level instruments are of excellent quality, and definitely good enough for gigging and recording. I’m also one of those guys who will tell you Epiphone guitars are among the best alternatives to Gibson guitars, not simply budget-friendly alternatives. That means you don’t ever need to upgrade from your Epiphone to a Gibson if you don’t want to. But if that’s true then why don’t professional guitar players use Epiphone instruments? There is a long and a short answer to that question. The short answer is that some do use them. In fact, that’s what this article is all about. The long answer is a little more complicated, and we’ll get to that later. For now, here is a look at some of the famous pro-level guitarists who play Epiphone guitars. When I think of famous guitar players and Epiphone my mind immediately goes to Joe Pass. That is in large part to the Joe Pass Emperor, a guitar created by Epiphone for Pass that has gone on to become a favorite of many guitar players. While Joe Pass left us over two decades ago, there is a still a version of this guitar on the market today: the Joe Pass Emperor II PRO, which features Epi’s ProBucker pickups. Joe Pass was one of the greatest jazz guitarists of all time, with a fluid and innovative playing style. He is also a good example of why it is important for younger guitar players to go back and learn about the great players of other generations. I consider myself in that group, as Pass was doing his thing and changing music long before I was even born. Throughout much of his playing career Pass played a Gibson ES-175 that had been given to him as a gift. He used his signature Epiphone briefly before his passing, so we’ll never know if he’d have stuck with it or gone back to his Gibson. However, many jazz guitarists today think very highly of the Emperor for its tone and affordable cost, and consider it among the best jazz guitars out there. Bjorn Gelotte was the drummer on the classic In Flames albums The Jester Race (1996) and Whoracle (1997). Nobody cares what kind of guitar you play when you are a drummer, so thankfully Gelotte permanently moved to guitar duties for 1999’s Colony. Colony, in my opinion, is In Flame’s best album, and one of the overall best metal records of that era. Gelotte’s playing and songwriting, along with fellow guitarist Jesper Stromblad’s, is a big reason why. The duo delivered again with Clayman in 2000, before the band’s sound began to change going into the new millennium. It’s probably best not get into that here. Instead, I will give In Flames and their fellow melodic death metal cohorts the credit they deserve. At the close of the ‘90s things looked pretty dim for metal and hard rock, and they gave us hope that things were going to turn around. Gelotte’s signature Epiphone Les Paul Custom is equipped with active EMG Metalworks pickups and a custom rounded ’59 neck profile. By now you may have noticed that, aside from some swapped pickups and a few other minor appointments, most of the Epiphone guitars famous players use are awfully close to stock Epis. That’s kind of the point of this article – Epiphone guitars are certainly good enough for the pros. If you want to grab a stock Les Paul Custom and change the pickups go for it, but you don't have to. 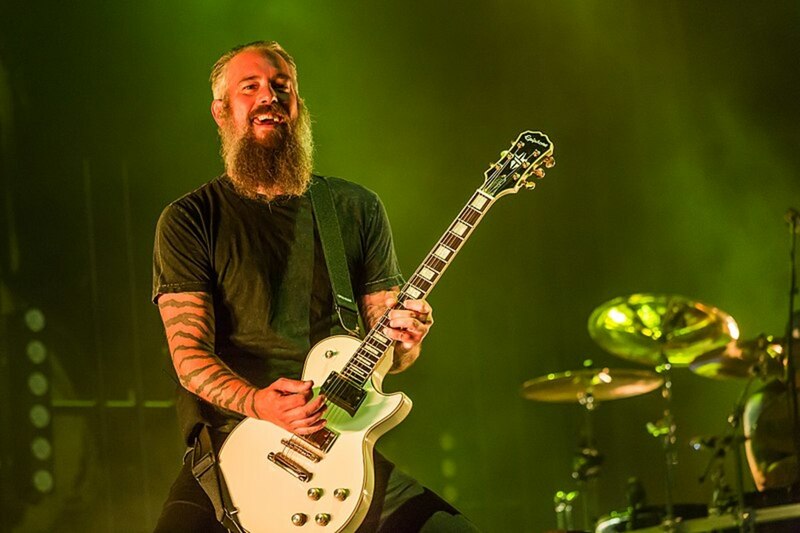 The sounds that emerged out of Gothenburg eventually made their way around the globe, as bands like In Flames, Dark Tranquillity and Soilwork influenced a new generation of American metal bands. These bands incorporated old-school metal and American thrash along with melodic euro-death to usher in a new era of heavy metal. Nu-metal had (mercifully) run its course, and by the mid-2000s American audiences were ready to get back to metal basics. Trivium was one band that emerged during this time, with their crushing album Ascendency grabbing the attention of unsuspecting metal fans in 2005. 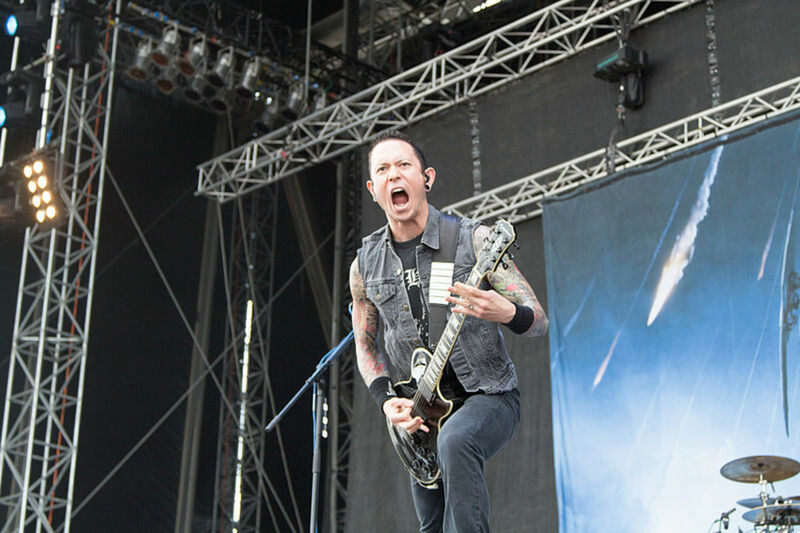 Frontman and guitarist Matt Heafy has been the driving force behind Trivium since he was a teenager. I have to be honest: Back when Trivium (and bands like them) first emerged I was not a fan. To me they seemed to be badly copying what they heard coming out of Europe and adding boy-band like vocals in certain parts. I wasn’t into it. However, I think with their last few albums they’ve found their own sound and perhaps carved their own niche a little more neatly, even if they’ve departed from of the harsh vocal style. Heafy is a Les Paul player, and his signature Epiphones feature active EMG pickups. There is a six string and a seven string model, as well as the all-white, and pretty sharp in my opinion, Snofall models. I think (as these guys apparently do) that Les Pauls are great for metal. If you did have the desire to swap out stock pickups for something like EMGs I'd bet you'd rather do it on a $600 Epi rather than a $3000 Gibson. If you spend as much time in self-induced ‘80s rock flashbacks as I do you probably know Tommy Thayer from a band called Black ‘N Blue. They were a good band, but always relegated to a somewhat second-tier status behind more well-known groups like Ratt, Motley Crue and Poison. As early as the late ‘80s Thayer was collaborating with members of the mega rock band KISS. He lent his writing skills to the 1989 Kiss album Hot in the Shade, and KISS frontman Gene Simmons co-wrote songs on the Black ‘N Blue albums Nasty Nasty (1986) and In Heat (1988). In 2002 Thayer officially joined KISS, taking over at lead guitar and adopting the character of the Spaceman invented by and until then solely performed by legendary guitarist Ace Frehley (insert controversy here). 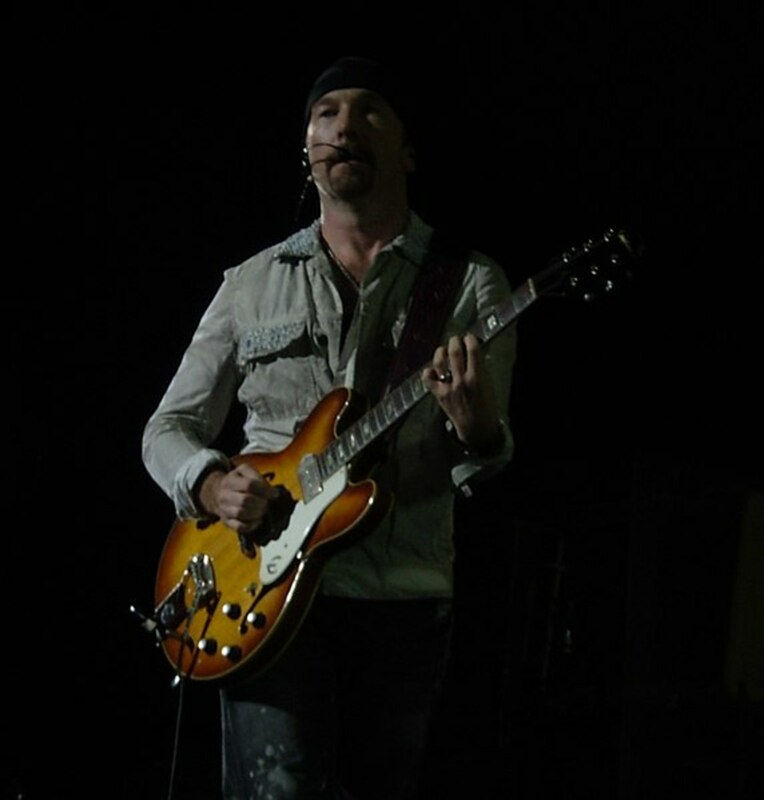 Today, along with his Gibsons, Thayer uses a couple of different signature guitars made by Epiphone, which were made available in limited runs over the past few years. The first is a Les Paul dubbed White Lighting which is equipped with Seymour Duncan JB pickups. This guitar is just gorgeous, with an all-white and chrome finish. A year earlier Epiphone released the Spaceman Les Paul, again in cooperation with Thayer. This guitar featured a pair of Gibson 498T pickups. If Les Pauls aren’t your thing, there was also a White Lighting version of the Epiphone Explorer with the same great finish as the White Lightning Les Paul. You may have heard of the Beatles. Today many people regard them as the most influential rock band of all time, and without them the music we know today might be very different. Yes, the Beatles were a pretty important band. Would it surprise you to find out they did a lot of what they did while playing Epiphone guitars? John Lennon and George Harrison both played Epiphone Casinos, a thin-line archtop guitar you can still get today. In fact, Lennon played his ’65 Casino from the year he purchased it until his final days with the band. Even bassist Paul McCartney owned a Casino for songwriting and studio work purposes. So, if it was good enough for the Beatles, well, you know. It isn’t only the Beatles who have put the Epiphone Casino to work. Other notable users include Keith Richards and Brian Jones of the Rolling Stones, The Edge of U2, Glenn Frey of the Eagles, Noel Gallagher of Oasis and Dave Grohl of Foo Fighters. Epiphone archtops have always had a strong reputation, going all the way back to the days when they were a direct competitor with Gibson. Where Epi solid bodies compete on some level with their Gibson namesakes, the archtops tend to stand on their own. 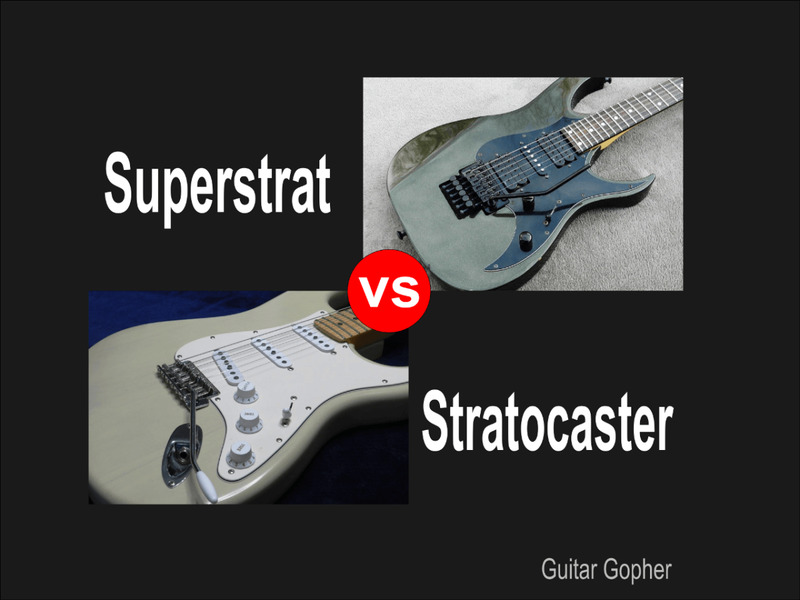 As you can see by the artists listed above, most have their own signature guitars that they use onstage. There are a many more guitar players with signature instruments to their names. For the most part these players have stuck to their Gibsons, but some collaborated directly with Epiphone to create unique guitars. Other instruments were created based on legendary Gibson guitar used by the artists. Zakk Wylde Les Paul Custom Bullseye: When Zakk Wylde took over as Ozzy Osbourne's lead guitarist back in the late ‘80s his unique Gibson Les Paul Custom got almost as much attention as his mind-blowing chops . The Epiphone recreation of this iconic instrument features an EMG 81/85 pickup set, rosewood fingerboard and, of course, the bulls-eye graphic that made the guitar famous. B.B. King Lucille: Epiphone’s version of blues legend B.B. King’s modified ES-355 dubbed “Lucille” is an affordable version of the custom guitar Gibson created for King back in the 1980s. Like King’s guitar it skips the f-holes and includes a VariTone control as well as newer features such as TP-6 fine tuning tailpiece. Tony Iommi Gibson SG: Black Sabbath is probably the most influential heavy metal band of all time, and the force behind ‘Sabbath’s crushing guitar riffs is Tony Iommi. For over fifty years he has shaped the sound of metal with his Gibson SG. Epiphone’s Limited Edition Tony Iommi Signature SG Custom features Gibson USA Tony Iommi humbuckers and an ebony fingerboard with pearloid cross inlays. Joe Bonamassa Les Pauls: Blues rocker Joe Bonamassa is a Les Paul player, and while he has historically stuck with his Gibsons he’s had a handful of Epiphone signature LPs to his name. More recently Epiphone has announced an ES-355 Joe Bonamassa signature model. Slash Les Paul Standard: It’s tough to think of Slash without thinking of the Gibson Les Paul. After all, Slash was slinging Les Pauls back when most guitarists were playing superstrats. Today he has a few Epiphone signature models, including the “Rosso Corsa” which features Seymour Duncan Slash Alnico II Pro Humbuckers. Peter Frampton Les Paul Custom: Frampton Comes Alive is among the best-selling live records in history, and even today many of the tracks are staples of classic rock radio. The guitar Frampton came alive with was a three-pickup Gibson Les Paul Black Beauty. Epiphone’s Limited Edition version features ProBucker and Ceramic PRO humbuckers and weight-relieved mahogany body. After all that I’ve written in this article there is still one very important group of guitarists left to discuss. They are not famous, they don’t have endorsement deals or signature instruments, and they don’t have roadies or guitar techs. But, if you consider the true meaning of being a professional, they are every bit as significant as any other musician listed in this article. They rely on their music to put food on their tables for the families, and keep a roof over their heads. They are the legions of working guitarist who play in bars, clubs and coffee houses around the world. They play at weddings and birthday parties, in cover bands and tribute bands. They do what they have to do to make ends meet and make a living at something they love. That includes choosing Epiphone over Gibson for gigs, and being smart about not lugging a $3000 Gibson to a bar where it could be stolen, or a party where some unattended kid could knock it off its stand while the band is on break. Instead, they trust in their Epiphone guitars to get the job done and they leave their pretty Gibsons safe at home. Should You Play An Epiphone? The intent of this article is to highlight some of the famous guitarists who play Epiphone instruments. However, I think many guitar players who are interested in this topic have a deeper question in mind: Should you feel okay about playing an Epiphone? This also brings us to the longer answer I hinted at above: Why don't more more famous guitarists play Epiphones? It’s for the same reasons you aren’t sure if you should. Because Gibsons are better, right? Because a serious player would play a Gibson, right? Because you’ll look like a hack showing up with an Epiphone, right? Only you can decide how much each of those issues matter to you. Personally, while I do think Gibson guitars are superior, I still think Epiphone guitars are excellent instruments. I wouldn’t hesitate to use one in a band or recording situation. Yes, there are outstanding Epiphone guitars for beginners, but serious players play Epis as well. Anyone who criticizes your guitar choice is worried way too much about image. But that’s just my opinion. As always, it's up to you to make the best choice for your own situation and budget. What do you think of Epiphone signature guitars? If they are good enough for a famous guitar player they are good enough for me! I wouldn't buy a guitar with another dude's name on it. If I liked the guitar I wouldn't care whose name is on it. I'd rather buy a stock Epiphone and customize it myself. Stock Epis are fine. No changes needed. @Wesman - There are always those snobby players that look down on Epiphone. In my opinion Epiphone guitars have never been better than they are right not - at least not in my lifetime. I think many experienced players are now realizing they don't have to spend thousands to get something like a real Gibson, just with a different name on the headstock. I suspect the Gibson elitists are in the minority these days, where that probably wasn't true even 10 years ago. I've learned that Gibson Les Paul owners are often very elitist sorts of people. Of course not all of them. I'm sure most are just regular folks, but one can sure get a sense of character by talking to Telecaster people, and then Gibson LP people. LOL. I'm in virtually every guitar group I've ever found on Facebook. There are a LOT of Gibson Les Paul groups. There's one where folks literally get kicked out for even talking about Epiphone Les Pauls. I got off light, as a newcomer. I had my commentary about the value of the Thayer model deleted, and a stern warning.